3CX Phone System is a software based IP PABX for Windows systems that delivers superior features and flexibility at a much lower cost, it also replaces the traditional PABX phones. It supports popular SIP (Session Initiation Protocol) phones, Voice over IP providers and the standard PSTN (public switched telephone network) lines. 3CX Phone System’s web-based administration console is easy to configure and will eliminate the need for any expensive maintenance. These phone systems also includes a client that makes call control, conferencing and other communications features a breeze. Users don’t have to use an obscure phone interface to manage their calls and extensions, this can be don’t with only a few clicks with their mouse. Users can also log into their 3CX system from any mobile device or pc to the see the status and presence of other users from your office. 3CX Phone Systems also includes an iPhone and Android application, which permits you to make and receive calls on your iPhone or Android smartphone from anywhere. This means that you can save on telephone costs by making internal office calls free of charge. So you never have to miss important calls that are made to your office extension and you are not there. We have several different editions available of these phone systems, and can be based on the number of calls your business makes. And upgrades are instantly activated with the use of a license key. No need to reinstall the entire phone system again. Find out more about 3CX Phone System for Windows here. 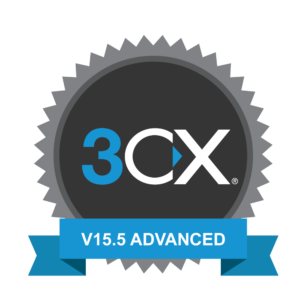 Get the free edition of 3CX’s business VoIP phone system with one year free hosting on Google Cloud. Try it now by clicking the link below, then filling in the form and you will receive an email with your licence key information and deployment instruction.